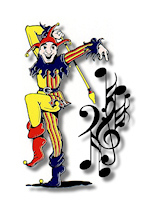 This list provides an overview of books concerned with the humor and levity that can be found in the musical world. Cartoons that originally appeared in New Yorker, Harper's Magazine, Punch, The Saturday Review, The Opera Quarterly andToppix. Hilarious words set to the great musical themes. Great Symphonies: How to Recognize and Remember Them. Spaeth, Sigmund. Greenwood Publishing. 1972. ISBN 0837156416 (hardcover). This is a book filled with unintentional humor. 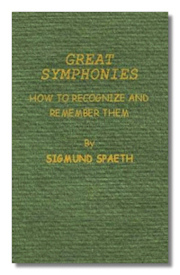 It was meant to teach children how to remember the great themes from the great symphonies, but the words Spaeth used to illustrate the melodies are falling-off-a-chair hilarious. Originally published in 1936. The Definitive Biography of P.D.Q. Bach, 1807-1742?. Peter Schickele. Random House. 1976. ISBN 0394734092 (paperback). Bach, Beethoven and the Boys: Music History As It Ought to Be Taught. David W. Barber, with Dave Donald (illustrator), Anthony Burgess (preface). Sound and Vision Publishing Limited. 1996. ISBN 0920151108 (paperback). If It Ain't Baroque…More Music History As It Ought to Be Taught. David W. Barber, with Dave Donald (illustrator), Anthony Burgess (photographer). Sound and Vision Publishing Limited. 1992. ISBN 0920151159 (paperback). When the Fat Lady Sings. David W. Barber, with Maureen Forrester. Sound and Vision Publishing Limited. 1990. ISBN 0920151116 (paperback). Opera History As It Ought to Be Taught. Getting a Handel on Messiah. David W. Barber, with Trevor Pinnock. Sound and Vision Publishing Limited. 1994. ISBN 0920151175 (paperback). The Book of Musical Anecdotes. Norman Lebrecht (Editor). Free Press (Macmillan). 1985. ISBN 0029187109 (paperback). Arranged chronologically by composer or performer. Begins with a very short biography. Alphabetic list in front of book. Very detailed index. Extracts from the literature on music, with good footnotes and bibliographic information. Tenors, Tantrums and Trills. David W. Barber. Sound and Vision. 1996. ISBN 0920151191 (paperback). A humorous dictionary of opera. Better Than It Sounds. David W. Barber. Sound and Vision. 1998. ISBN 0920151221 (paperback). A dictionary of humorous musical quotations.